Monthly walking tours of greenspaces on the University of Nebraska–Lincoln's East Campus are being held the first Tuesday of each month through November. 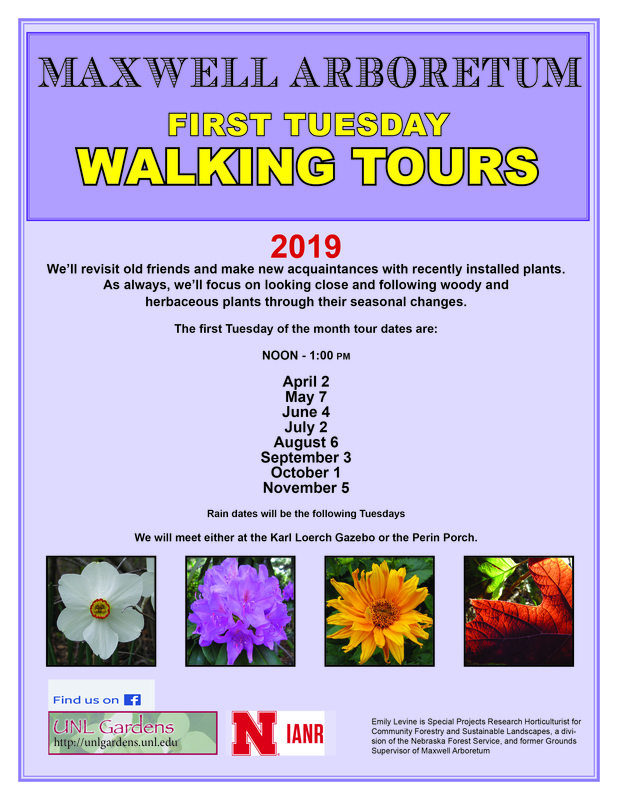 The tours, which explore Earl G. Maxwell Arboretum, are noon to 1 p.m. and led by Emily Levine, special projects research horticulturist. This year, the tour will highlight new, recently installed plants. As always, partipants will focus on examining woody and herbaceous plants upclose and follow their seasonal changes. Cultural and historical aspects of the plants will be discussed as well. The tours are free and open to the public. Participants will meet at the Karl Loerch Gazebo, one block east of the Dairy Store. In the event of inclement weather, the tour will be held the second Tuesday of the month. Check UNL Gardens each month for changes or more information.